This EP is a mixed bag, and gives a little impression of what people listened to back in the Sixties. 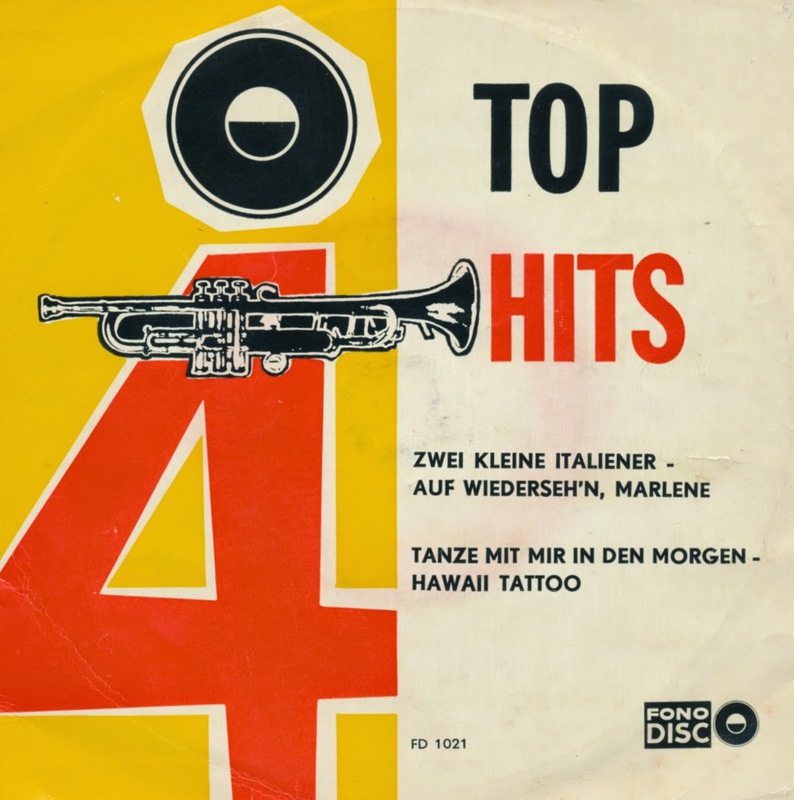 It has to be said, of course, that this '4 Tophits' EP is part of a series of so-called Fonodiscs which included classical music and light entertainment, as well as marching band music and children's songs. Of special interest is the first track on this EP: it's a cover version of 'Zwei kleine Italiener', the song that was performed by Conny Froboess as the German entry in the 1962 Eurovision Song Contest. This version is almost identical, which was the secret behind the cheap EP's of Fonodisc: cheap versions of hits could mean big profits. Although this EP never charted, of course.